In times of economic uncertainty, smarter government is a mandate. When information can be analyzed and presented more effectively, the result is better decision making, reporting and insight. New collaboration tools enable governments to transform relationships with citizens, creating an environment where efficiency and management by performance are the norm. IBM can help you governments become a smarter government. This topic contains 0 replies, has 1 voice, and was last updated by Amy DeWolf 6 years, 10 months ago. 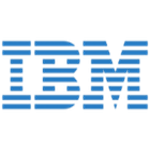 I recently watched a short video on predictive analytics that IBM put together for its Smarter Planet campaign. Narrated by Mark Cleverley, IBM Public Safety Director, it highlighted how some police and fire departments are using real- time analytics to become more proactive in preventing crimes and fires. For example, some police departments are creating models to determine if certain types of crime are correlated with certain points in the day or different kinds of weather, not just where crimes occur. As Mark discusses, with public safety budgets hovering around 50% for most cities, this shift in thinking can help cities improve public safety in a more cost-effective way. I encourage you to watch the full video below. Also, be sure to check out the other videos in the Smarter Planet series.